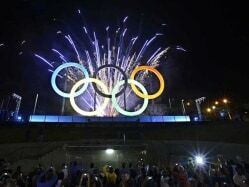 So after 17 days of tears and glory the final curtain came down on the London Olympics 2012. 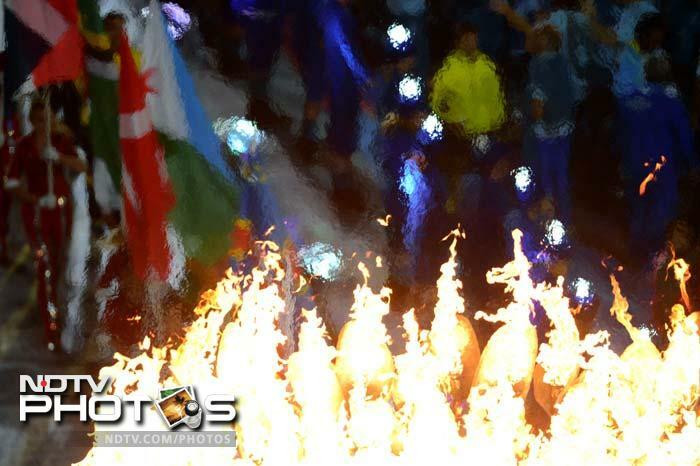 A look at the closing ceremony which was full of sound and colour. What better way to spice up the heat at the closing ceremony than a performance by the nineties sensation Spice Girls who captivated the audience with their songs. Spice Girls' Victoria Beckham showing a glimpse of the years gone by at the closing ceremony. 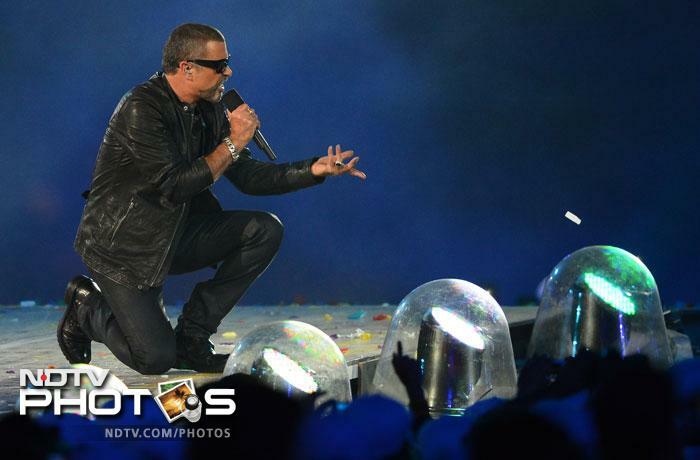 British singer George Michael performs at the Olympic stadium. 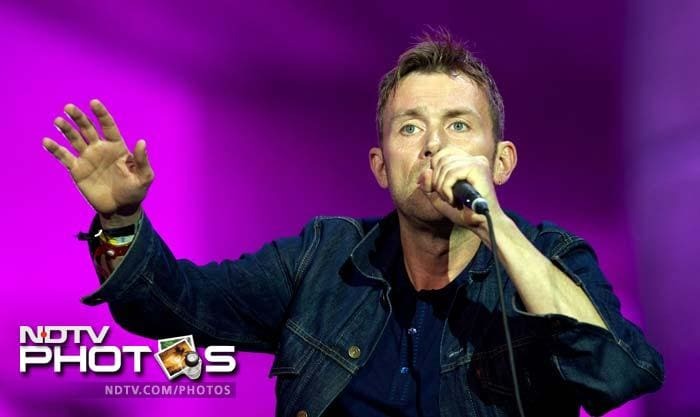 British lead vocalist and guitar player of Blur, Damon Albarn performs at the BT London Live - Closing Ceremony celebration concert in Hyde Park, London, on the last day of the London 2012 Olympic Games. British singer and songwriter Emeli Sande (R) performs at the Olympic stadium during the closing ceremony of the 2012 London Olympic Games in London on August 12, 2012. 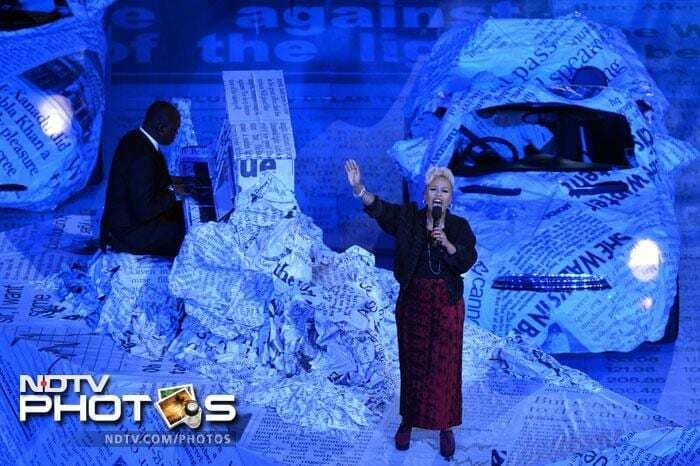 British singer Annie Lennox brought in an exotic touch to the final curtain of the Games. 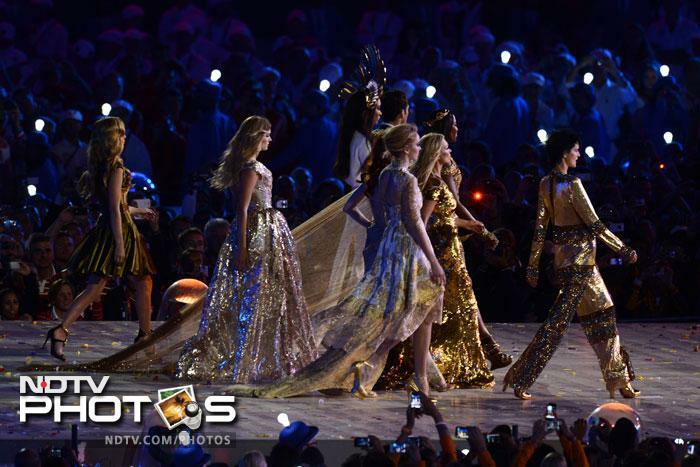 British models Lily Donaldson, British model Georgia May Jagger, British model Karen Elson, Jourdon Dunn, David Gandy, Naomi Campbell, Kate Moss,Lily Cole and Stella Tennant perform during the closing ceremony of the 2012 London Olympic Gamesat the Olympic stadium in London on August 12, 2012. British singer Jessie J performs during the closing ceremony of the 2012 London Olympic Games at the Olympic stadium in London on August 12, 2012. Members of the physical theatre group Stomp perform on general life in London. 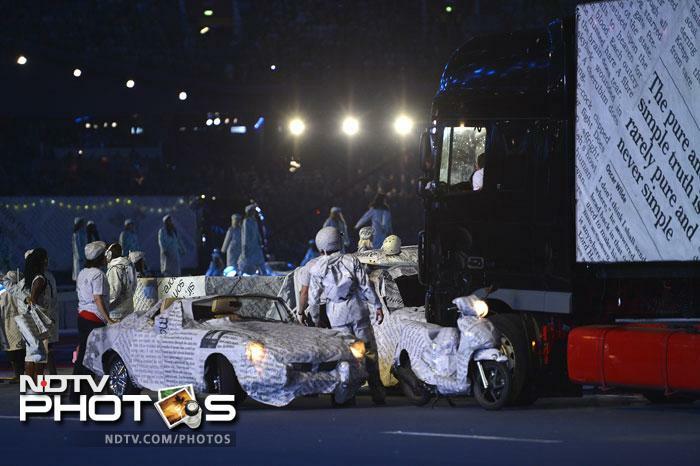 Artists perform at the Olympic stadium during the closing ceremony of the 2012 London Olympic Games in London on August 12, 2012. Performers sing and dance giving a musical touch to the end of the London Olympics 2012. 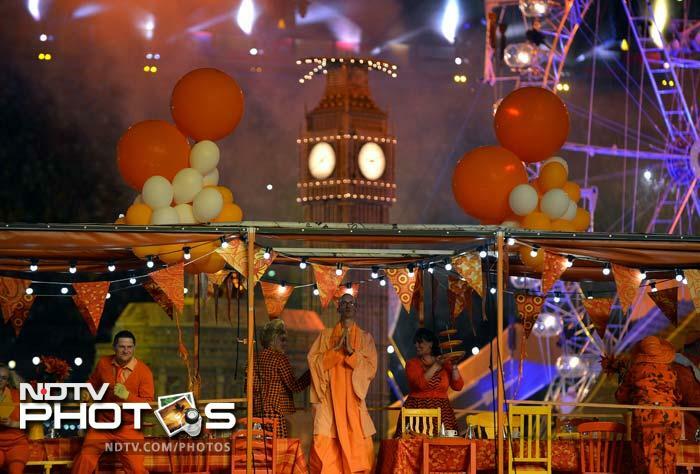 British group Madness perform during the closing ceremony of the 2012 London Olympics. 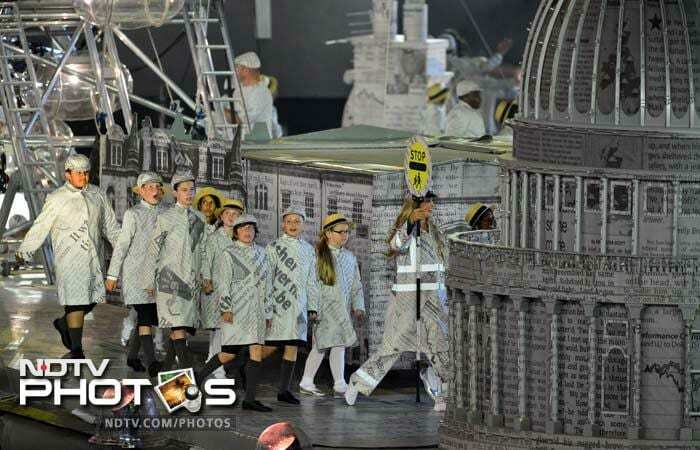 A stage performance by school children at the Olympic closing ceremony to reflect the spirit of youth at the London Games. Catherine, Duchess of Cambridge (L), and Chairman of the London 2012 Organizing Committee Sebastian Coe (R) attend the closing ceremony of the 2012 London Olympic Games. 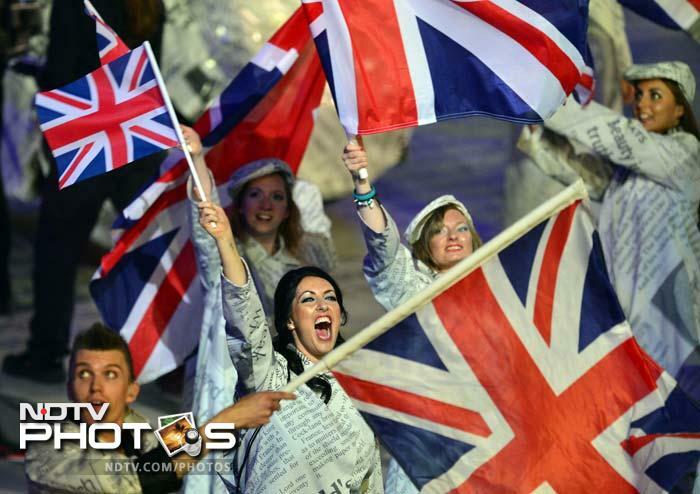 A sense of national pride as artists wave Union Jack flags as they perform during the closing ceremony of the 2012 London Olympic Games. 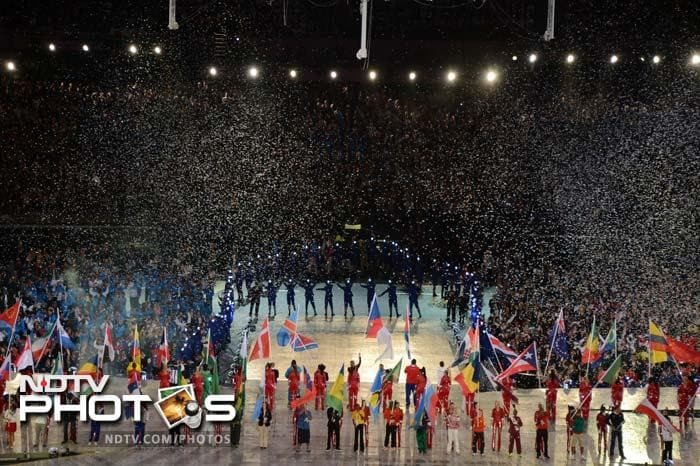 Athletes from various nations parade during the closing ceremony of the 2012 London Olympic Games. 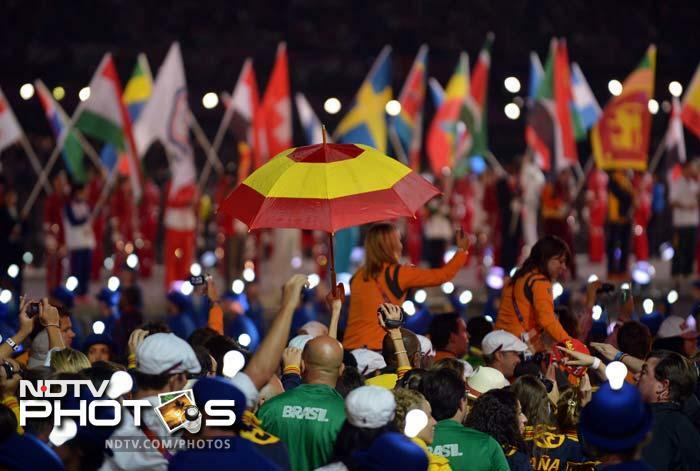 Flagbearers parade during the closing ceremony of the 2012 London Olympic Games on August 12, 2012 at the Olympic stadium in London. 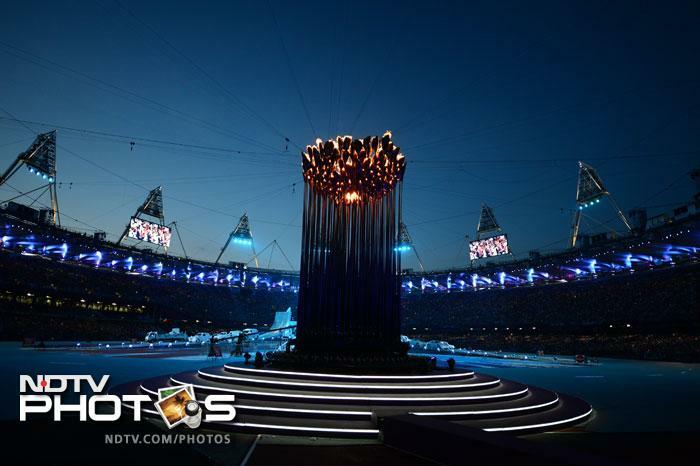 A close up view of the Olympic flame as athletes parade in the background. 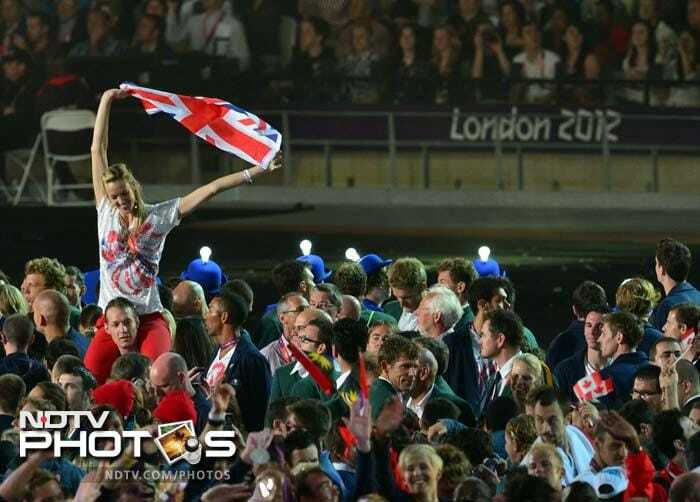 A British athlete waves a Union Jack flag as athletes from all over the world parade during the closing ceremony of the 2012 London Olympic Games. 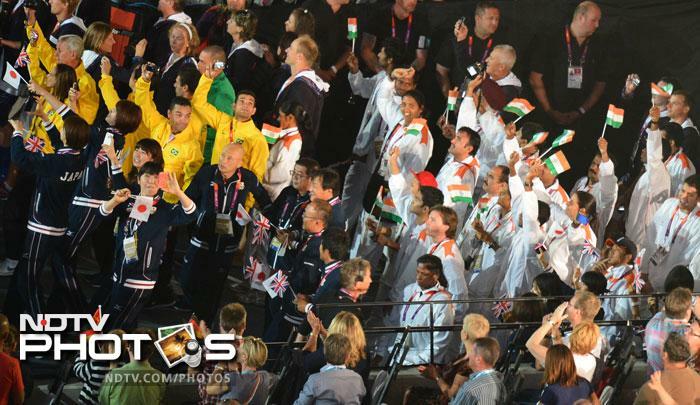 Japan's (Lower L), Brazil's (Upper L) and India's athletes enter the Olympic stadium during the closing ceremony of the 2012 London Olympic Games in London on August 12, 2012. 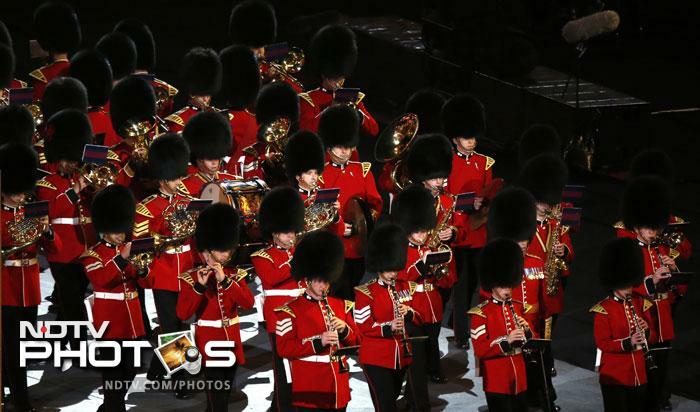 A military band performs inside the Olympic stadium during the closing ceremony.